OVER 350 prisoners have self-harmed during the last three-and-a-half years while subject to procedures designed to help and support vulnerable inmates here. However the latest figures released by the Department of Justice (DOJ) have prompted a senior DUP MLA to label the process as nothing more than “box ticking exercises that are not fit for purpose”. The figures were released after Lord Maurice Morrow asked the Department of Justice for a breakdown of how many prisoners had self-harmed, attempted suicide or died by suicide whilst subject to a SPAR. A Northern Ireland Prison Service (NIPS) spokesperson said: “The response to the Assembly Question clearly indicates that managing suicide and self harm risk within prisons is a very difficult and challenging issue." The original question was tabled in June 2013 with a response due within the assembly set 10 day time limit. However it was only answered earlier this month. 151 prisoners who self-harmed had never been subject to SPAR procedures. Prisoners may be recorded in more than one category depending on the individual circumstances of the incident and some of the incidents of self-harm reported will include suicide attempts. Under legislation all deaths in custody must be considered as suspicious in the first instance and must be reported to the coroner. The DOJ said figures relating specifically to suicides could not be recorded as such because the coroner has yet to give a verdict in the time period requested. However, the Prison Service was able to provide data on deaths it categorised as “self-inflicted”. Six self-inflicted deaths involved inmates who had never been placed on a SPAR. One self-inflicted death occurred while the prisoner was subject to SPAR procedures. In its response, the department added that in each category at least one death occurred out of prison custody but was recorded by the Prison Service due to the circumstances of the death. 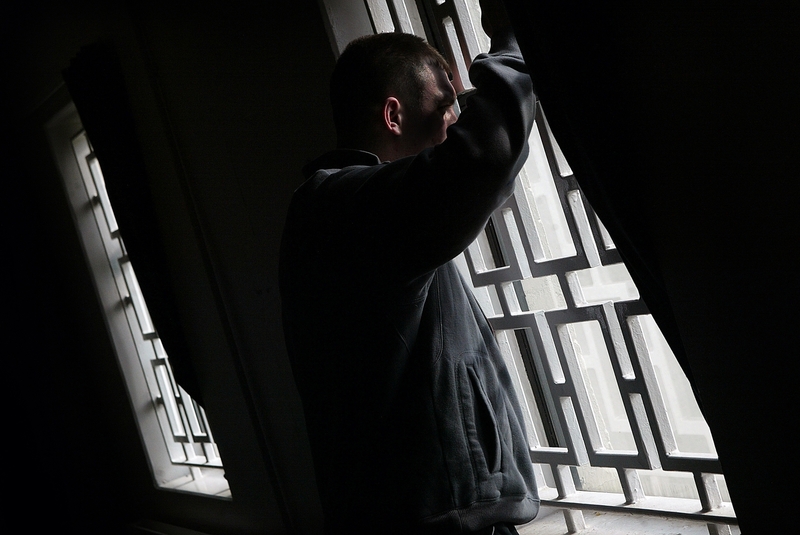 The procedures in place to monitor and support prisoners considered at risk of suicide have been the subject of a number of critical reports in recent years. In April 2010 the Prison Review Team carried out an inspection of current and recently closed SPAR forms at Her Majesty’s Prison (HMP) Maghaberry, the largest prison in Northern Ireland. Following this exercise the Prison Review Team reported that they were not confident that the SPAR procedures were being properly implemented, or that the causes of vulnerability amongst inmates were understood or engaged with. As previously reported by The Detail, the Prisoner Ombudsman’s investigation into the death of 23-year-old Frances McKeown in May 2011 highlighted shortcomings in SPAR procedures at Hydebank Wood’s female prison. The report found that contrary to Prison Service policy, there were occasions when Frances’ SPAR booklets did not move with her when she attended appointments off the landing. The Prisoner Ombudsman found that while there was evidence of staff taking time to talk with Frances, no evidence was found that Frances’ SPARs were reviewed to establish whether there was a pattern to her self-harming or whether there were triggers for episodes of low mood which should be considered as part of her care plan. In May 2013 The Northern Ireland Human Rights Commission (NIHRC) made a submission to the United Nations Committee Against Torture. The report acknowledged some positive developments to address the issue of prisoners at risks of suicide here, such as the establishment of the Ministerial Forum on Safer Custody. The report outlined that the Prison Review Team had recommended that the ombudsman’s office should carry out random reviews of SPAR documentation, and that the results of its findings should be reflected in training for managers and staff. The ombudsman’s office reported that issues of concern which it has raised in its investigations into deaths have been given a high level of priority by the Prison Service. May 2013 also saw the publication of the Prisoner Ombudsman’s first near death in custody report which raised fresh concerns about the use of SPARS. The report investigated the attempted suicide of a 31-year-old prisoner at Maghaberry prison. The prisoner was left severely brain damaged because of the incident. Given the vulnerability of the prisoner the report did not reveal his identity and referred to him as Mr C. The ombudsman found that the senior officer directly involved in the supervision of Mr C was not properly trained in the SPAR process until after the prisoner’s suicide attempt. In an exclusive interview with The Detail the prisoner’s mother criticised NIPS for “not doing enough to ensure the safety of its inmates”. Following this report, Justice Minister David Ford announced that that prison staff would receive “refresher training” in SPAR procedures. However, reacting to the latest figures, DUP MLA Lord Morrow says that more drastic action is required. He said: “No amount of training or re-training is going to remedy the problem because the SPAR procedures themselves are flawed. Bear in mind, these figures relate only to the last three years, since SPARs replaced the original format known as PAR (Prisoner at Risk) and doesn’t include self-harm incidents and suicides prior to SPARs being implemented. That makes the statistics even more shocking. Lord Morrow has called on the Justice Minister to address these issues as a matter of urgency. He said: “All vulnerable prisoners should be automatically placed on a SPAR and graded through a traffic light system of red, amber, green, – red being when there is significant risk of suicide or self-harm and green when the risk is minimal, but still requiring monitoring. Amber should be viewed as the alert time between improvement and regression. “The SPAR should remain open throughout the prisoner’s time in custody or unless there is significant improvement to the stage psychiatric input in no longer required, although monitoring should continue. The current system is a patchwork, tick box procedure which is not fit for purpose. In a statement to The Detail, NIPS said it was committed to providing effective services to prisoners in order to better support prisoners at risk, in partnership with the South Eastern Health and Social Care Trust, which has lead responsibility in relation to the delivery of healthcare in prisons. A spokesperson said: “The needs of the prison population are complex and a disproportionately high level of prisoners present with mental health problems and personality disorders. “The Supporting Prisoners At Risk (SPAR) process helps staff identify, at an early stage, symptoms or behaviours that suggest a prisoner may be in personal crisis and in need of additional and immediate support and care. The emphasis is on individualised care of the prisoner and engagement to understand what is causing the distress. “Prison officers play a vital role in assessing and supporting vulnerable offenders during periods of crisis. It is impossible to say how many lives have been saved by prison officers in correctly identifying at risk prisoners and managing them successfully until they are safe from suicidal or self-harming behaviour."